A circular needle consists of two tapered needles (referred to here as needle tips) connected by a flexible cable. These needles were created to provide an alternative to double-pointed needles when knitting in the round. 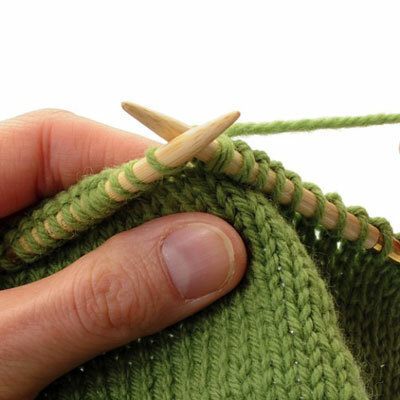 Using the traditional method of knitting in the round with a circular needle, you cast the stitches on to one circular, distribute them evenly around the entire needle, and then slide them along the cable as you work in a continuous spiral around the outside of your project. 1Slide the stitches along the cable so that they are evenly distributed along the entire length of the circular needle. Be careful not to let stitches slip off either end of the needle. 2Lay the work down on a table in front of you and take a look. Adjust your cast-on edge so that it is not twisted around the needle. 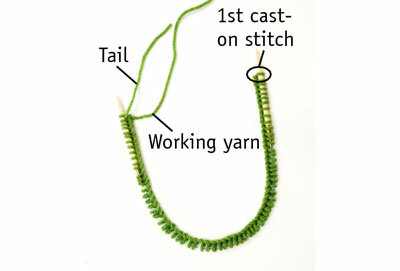 Make sure that the bottom edge of the cast-on runs smoothly from one end of the circular needle to the other without looping over the needles. 3Flip the work over so that the needle tip with the yarn tail and working yarn is on the right and the needle tip with the first cast-on stitch is on the left. Bring the needle tips together to form a circle. Be careful not to twist your cast-on edge. 4Hold the work in your left hand, maintaining a grip on both needle tips. The left needle tip should be on top of the right needle tip. 5Position the working yarn so that it runs up from the last cast-on stitch to the outside of the circle. The working yarn should not pass through the center of the circle. 6Begin to work in the round by inserting the tip of the right needle into the first cast-on stitch on the left needle and knitting it. 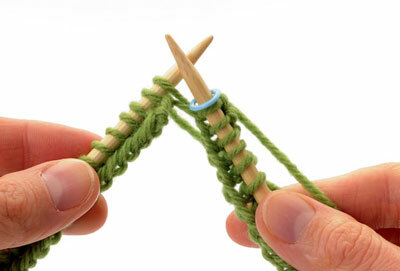 7Continue knitting the stitches on the left needle, sliding them along the cable as needed. 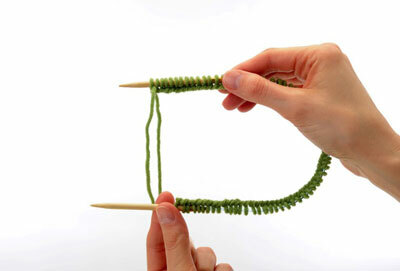 Knit around on all stitches until you reach the end of the round. You’ll know you’ve hit the end of the round when by the presence of the yarn tail. 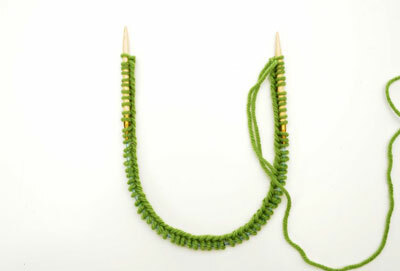 8Place a stitch marker on your right-hand needle to clearly indicate the end of the round. 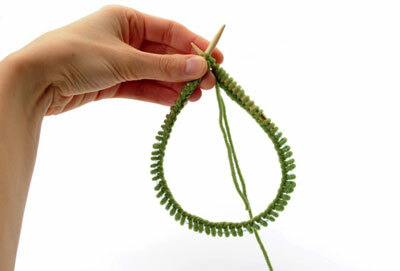 A stitch marker is especially useful with the traditional method of circular knitting, as there are no needle ends to remind you that you have reached the end of your round. 9Continue to knit in a spiral path, moving the stitches along the cable as needed. 10When your project has reached the desired length, bind off. 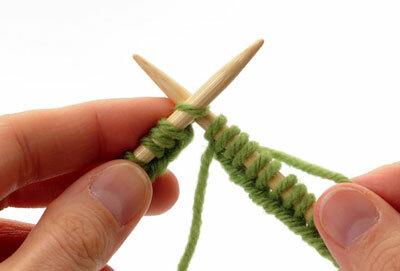 As you knit, stop and check that your work is not twisted. Verify that the cast on runs smoothly along the bottom edge of your work and does not loop over the needle at any point.